What happens when turkey, cranberries, and pumpkin mix it up? A food fight at Thanksgiving? Maybe. But here at Fromm, it means we’re busy making a great dog treat that’s delicious, wholesome, and recklessly crunchy. And when our Jumpin’ Jack Giblets gets in on the action, all we can do is watch him chop things up and let it fly! 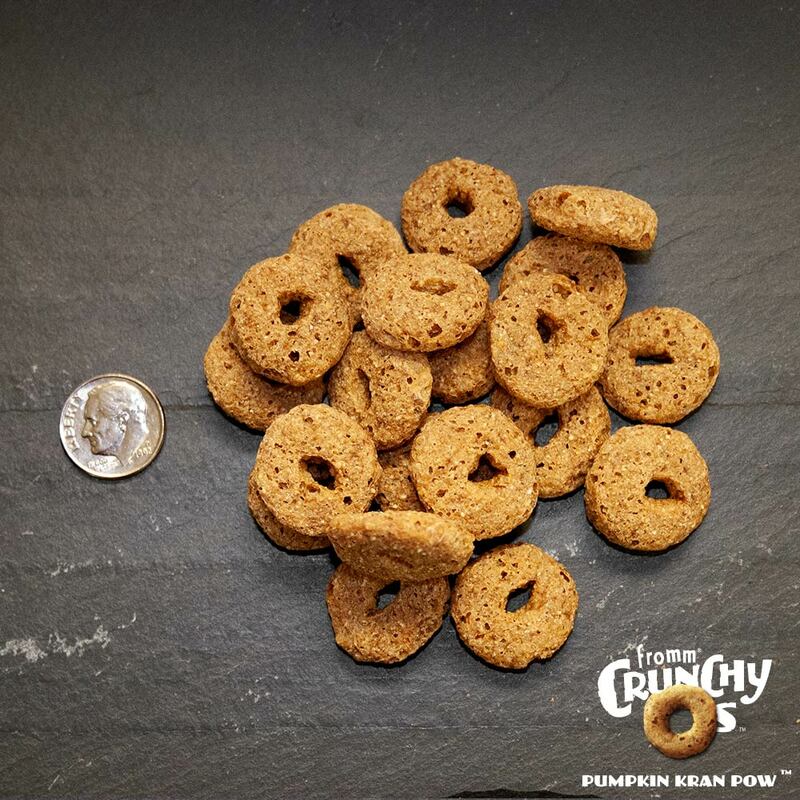 Now it’s your dog’s turn to do the crunching with Crunchy Os – the great snack they love to gobble. 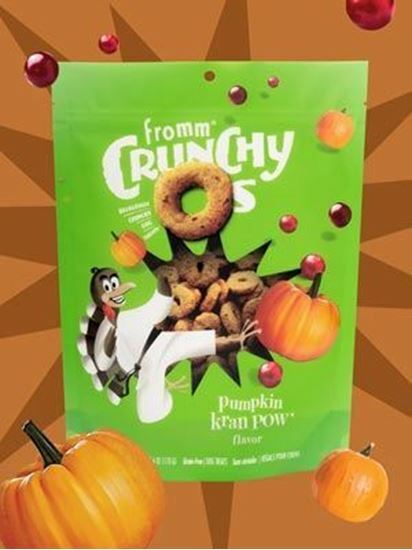 INGREDIENTS: Chickpeas, peas, turkey, potatoes, pea starch, coconut oil (preserved with mixed tocopherols), liver, cranberries, pumpkin, dried egg product, natural flavor, tapioca, calcium sulfate.